Most people have encountered a situation with an ill friend or relative when it has been difficult to know what to say or do. Even pastors and others in ministry are often at a loss when encountered with a critically ill person who is looking to them for some comfort and guidance. 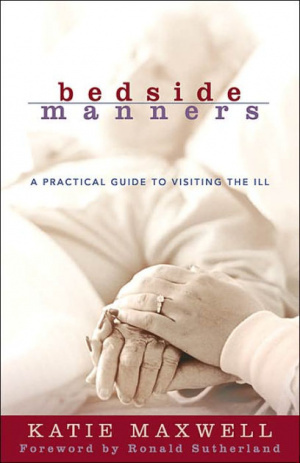 Katie Maxwell's "Bedside Manners provides the reader with practical directions for offering care in a variety of settings, including hospitals, the homes of shut-ins, and nursing homes. She even addresses often overlooked concerns--such as the pastoral care of children, caregivers, and patients who are dying--and offers intelligent advice like be prepared, be human, be silent, and be positive. Highly practical and inspiring, "Bedside Manners is essential reading for anyone who has felt uncomfortable when trying to comfort the sick. Bedside Manners by Helen Steiner Rice was published by Baker in February 2005 and is our 54263rd best seller. The ISBN for Bedside Manners is 9780801065514. Be the first to review Bedside Manners! Got a question? No problem! Just click here to ask us about Bedside Manners.